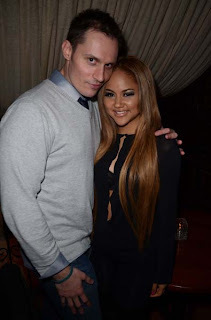 Singer Kat Deluna, Actor Keith Collins, Publicist, Steven Levine, art dealer Derek Storm and Deluna’s Sister Patry were seen dinning together in the private area of famed New York City hotspot Cuba Restaurant the other night. Having appetizers, entrée’s and desserts the group was all smiles while enjoying the evening out & the top notch food from Cuba’s menu. Deluna, with many hits like “Whine Up”, “Run The Show” and “Push Push” keep a wide look out for more upcoming news & music from the talented singer soon to be released in 2011.